SIBILLA Games provides the opportunity to play interactively a competitive/cooperative Game in a distributed environment where different Intelligence Agencies operate concurrently. 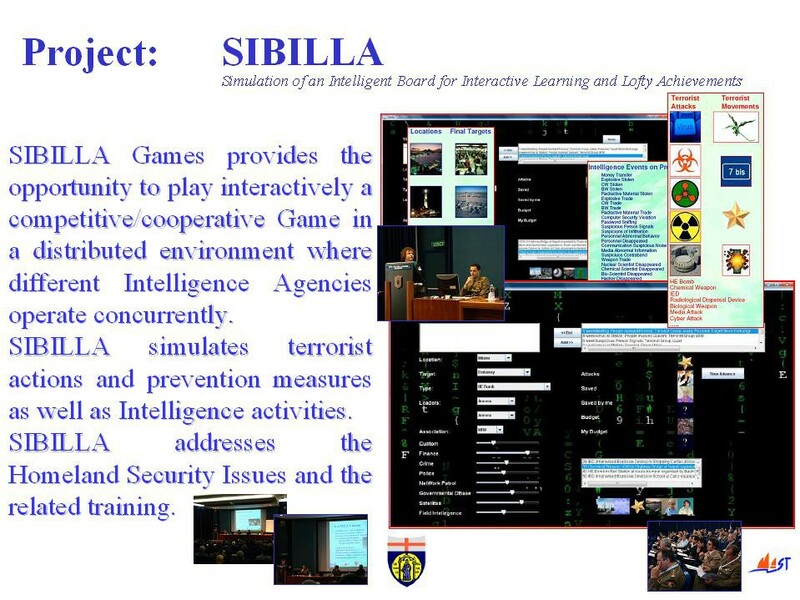 SIBILLA simulates terrorist actions and prevention measures as well as Intelligence activities. SIBILLA addresses the Homeland Security Issues and the related training.